Our Clinic proudly offers it’s dental care in a warm and welcoming environment. If you are looking for a cosmetic dentist for a sophisticated smile makeover, we can help you to achieve a long-lasting smile. We always welcome new patients of any age to help them to get a beautiful and healthy smiles that they have always dreamed of. All our dentists are competent professionals, who are focused on taking care of you responsibly and compassionately. They perform pain-free and successful dental treatments. We offer top quality, comprehensive services from simple dental treatments to complex oral surgery, implantation, bone grafting and sinus lifting procedures, all provided by specialists. 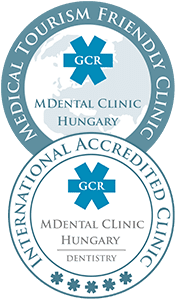 Our exclusive dental clinic is located in the very heart of Budapest, close to the Nyugati Railway Station, and can be reached easily. We are proud to present that our clinic has been awarded International Accreditation by Global Clinic Rating (GCR) in 2015. 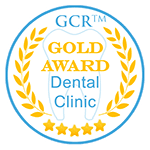 GCR is the only international, independent, industry-standard benchmark for healthcare clinic standards and patient satisfaction. This award testifies that our clinic has a level of expertise, facilities, services & patient responses well above current international clinic standards. 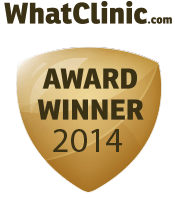 Gold Award Accreditation received by Global Clinic Rating. Beside international recognition of our operation we also proud of our “Best of Budapest” and “Superbrands” awards we received in Hungary. 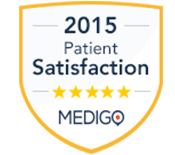 Why we are proud of our clinic?